All About Fence can take charge of your garden fence installation and repair in Marysville. A garden fence can serve several purposes. First, it marks the edges of your garden, setting it off from your lawn, a field or other situations. Second – and possibly most importantly – it protects your garden from intruders. These intruders can be playful children, romping dogs, devouring deer or ravenous rabbits, among other potential hazards. Third, some potions of it can act as a trellis to support bean vines, cucumbers or similar plants. With these things in mind, a garden fence needs to have certain characteristics. 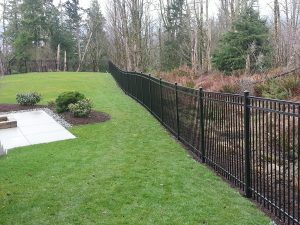 All About Fences is prepared for your aluminum fence installation and repair in Bothell. While January is not an ideal month for fence installation, it is a good time to begin the preliminary planning for new fences. If your current fence needs repair, either because of age or because of weather, we are here for you at any season. All About Fence can easily handle your iron fence installation service & repair in Lynnwood. Iron fence is an excellent choice for both home and commercial use. It is durable, decorative and comes in a variety of styles and heights. 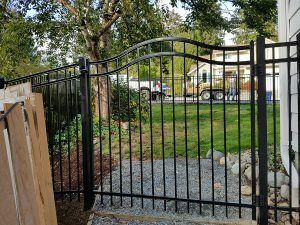 While we do not install automatic gates, we can refer you to a company that does that sort of work, and we can make the gates to go with your fence. All About Fence can easily take care of your commercial fence installation & repair in Everett. 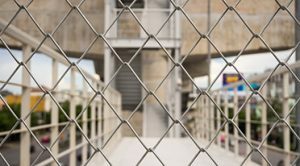 We understand the things that a fence should provide security while enhancing the appearance of your business. 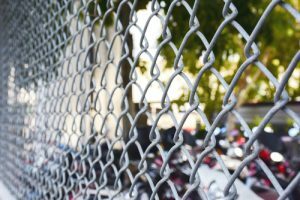 The precise type of fencing that is best for your commercial enterprise will depend upon the type of business you normally conduct. 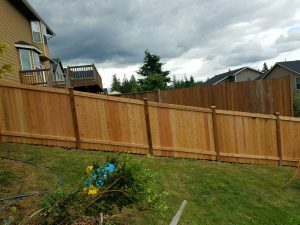 All About Fence can take care of your residential fence installation service & repair in Lake Stevens. Nothing dressed up a property like a nicely maintained perimeter fence, but nothing looks as run down and tacky as a perimeter fence that is in poor repair. We understand fences. We can put up one that looks great, and we can help with the year-to-year maintenance needed to keep it looking good. 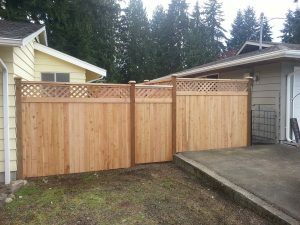 At All About Fence, wood Fences & wooden privacy fence installation in Bothell are two of our favorite things. 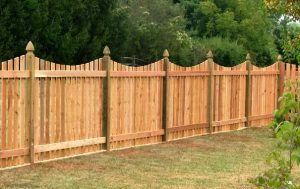 Perhaps we should note here that we have many favorite things when it comes to fencing, but there is something special about wood – whether it is a decorative boundary marker, or a tall privacy fence. Wood, having been part of a living tree at one time, has a special organic ability to blend with any landscape, whether it is a rustic setting, a butterfly garden, a surround for a pool or a classic white picket fence. All About Fence understand the importance of privacy fence installation & Repair in Lynnwood. 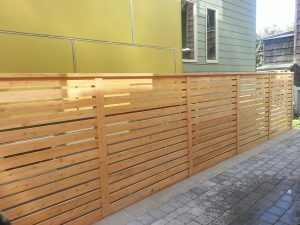 In our modern world, where houses are positioned in close proximity to each other, a good privacy fence creates a space for retreat, whether your yard or patio is large or small. At the same time an attractive privacy fence that is in good repair adds value to your home and an element of interest. Here at All About Fence, fence installation & repair in Everett is one of our focus areas. Installation involves a number of different things – locating any underground utilities, learning about any building codes or restrictions for your area, discussing preferences with the owner, and then selecting a fence style that fits within the parameters of all of those things. 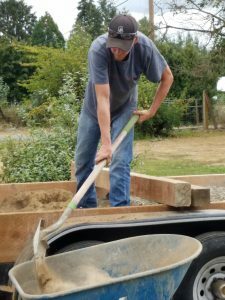 All About Fence turns to the classics for a lesson on being your fence company in Marysville. “Good fences make good neighbors,” says the old countryman in “Mending Fence,” the classic poem by Robert Frost. We understand why that old countryman would have liked having a good fence. Fences can have many purposes. Good fences are attractive as well as functional – that is part of fences making good neighbors.